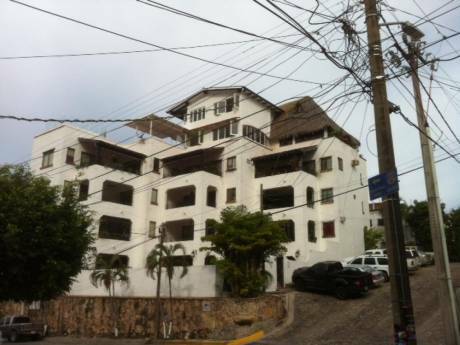 This is a luxury property in a luxury development right on the most beautiful beach on the Bay of Banderas. It is a penthouse unit with a separate office (and sleeper couch) a sleeper couch in the LR and 2 large bedrooms--one with a king and the second with 2 full size beds. 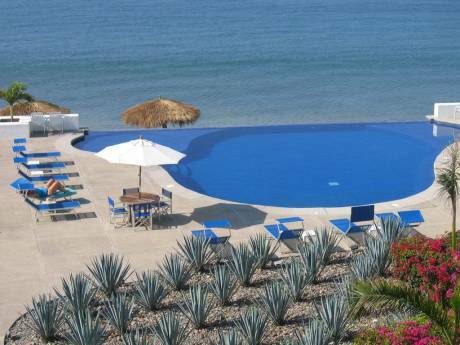 There is a wall to wall terrace balcony which has a hot tub and the views of the gorgeous Mexican sunsets. The kitchen is fully-equipped and has granite counters. There is a large children's pool and a separate adult pool and a hot tub by the adult pool in addition to the private hot tub on the balcony. Gorgeous views of the ocean. The location and amenities are hard to beat. I am a professional person and have been a world traveller, lived and worked in 4 countries and have come to love Puerto Vallarta. It is a lively city and there is much to do and see and the restaurants are fantastico. Lolling around under the umbrella or on the chaise lounge in the garden with a good book is great too. The patio garden has it's own watering system. The fridge has an icemaker for easy drink making. 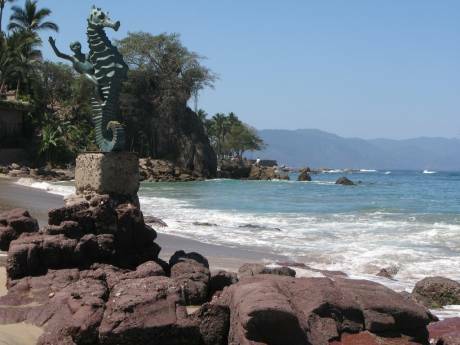 Nuevo Vallarta is north of Puerto Vallarta, about 14 minutes by car from the PV airport. The beach here is the best--you can walk for hours. Great restaurants shopping within a couple of blocks and really just a great place to relax and play in the sun.